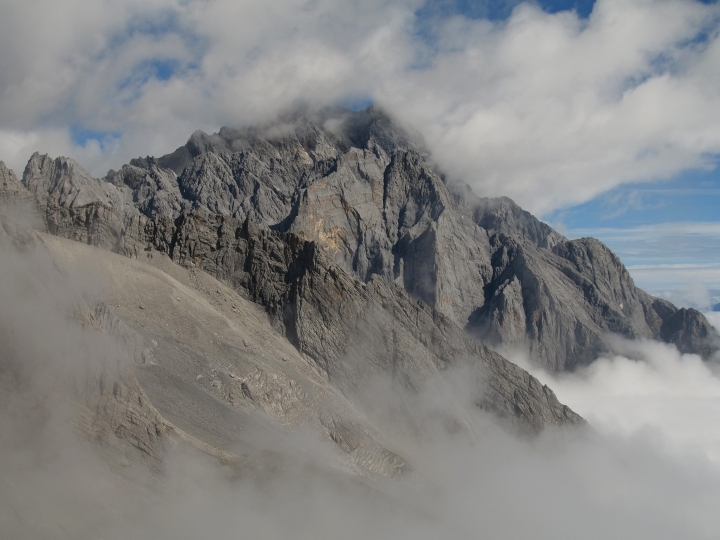 YULONGXUESHAN, China — The loud crack rang out from the fog above the Baishui No. 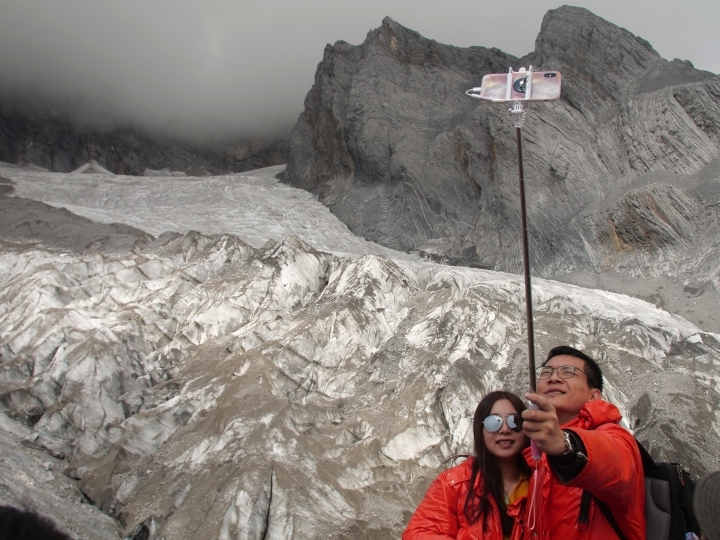 1 Glacier as a stone shard careened down the ice, flying past Chen Yanjun as he operated a GPS device. 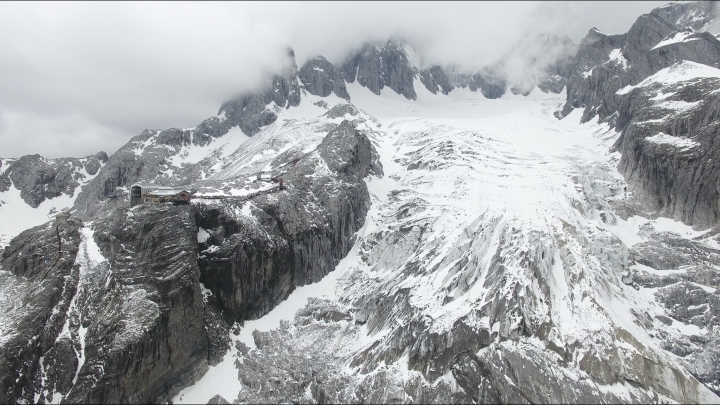 More projectiles were tumbling down the hulk of ice that scientists say is one of the world's fastest melting glaciers. 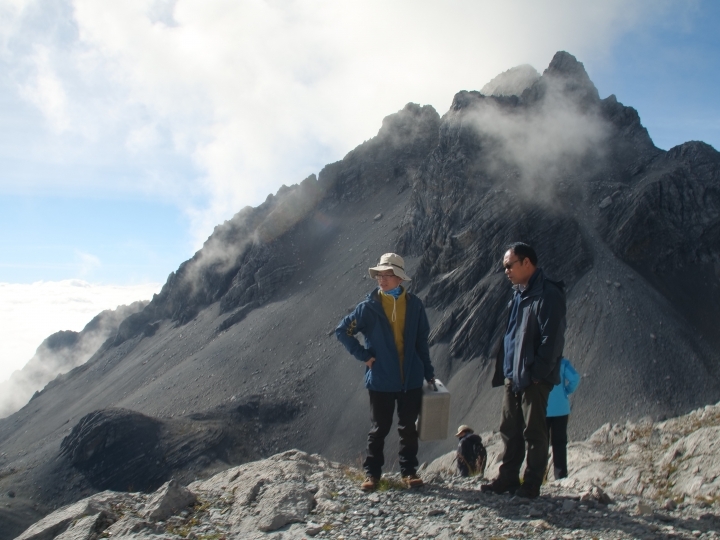 Chen hiked away and onto a barren landscape once buried beneath the glacier. 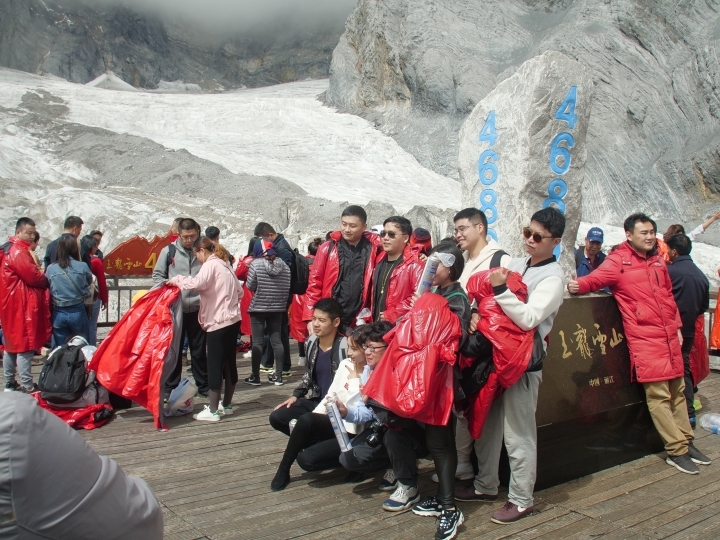 Now there is exposed rock littered with oxygen tanks discarded by tourists visiting the 15,000-foot (4,570-meter) -high blanket of ice in southern China. 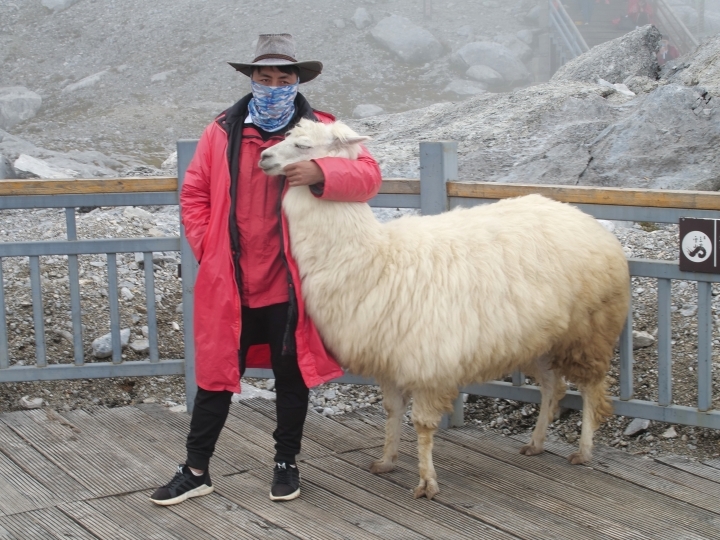 Millions of people each year are drawn to Baishui's frosty beauty on the southeastern edge of the Third Pole __ a region in Central Asia with the world's third-largest store of ice after Antarctica and Greenland that's roughly the size of Texas and New Mexico combined. 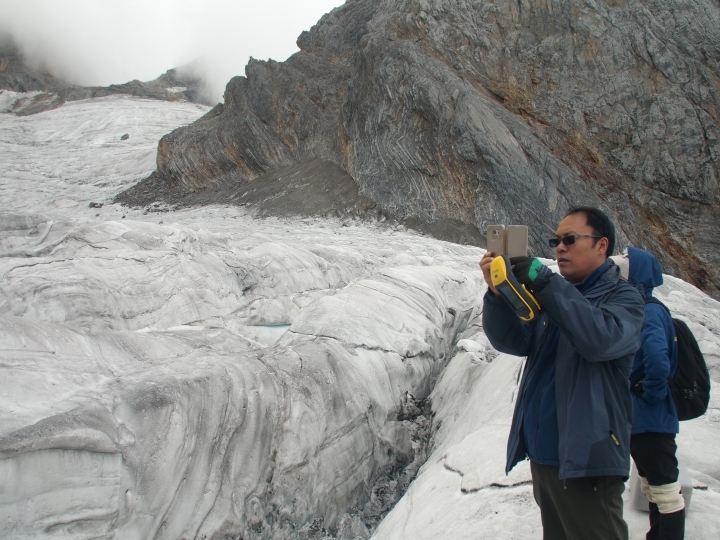 Third Pole glaciers are vital to billions of people from Vietnam to Afghanistan. Asia's 10 largest rivers __ including the Yangtze, Yellow, Mekong, and Ganges __ are fed by seasonal melting. 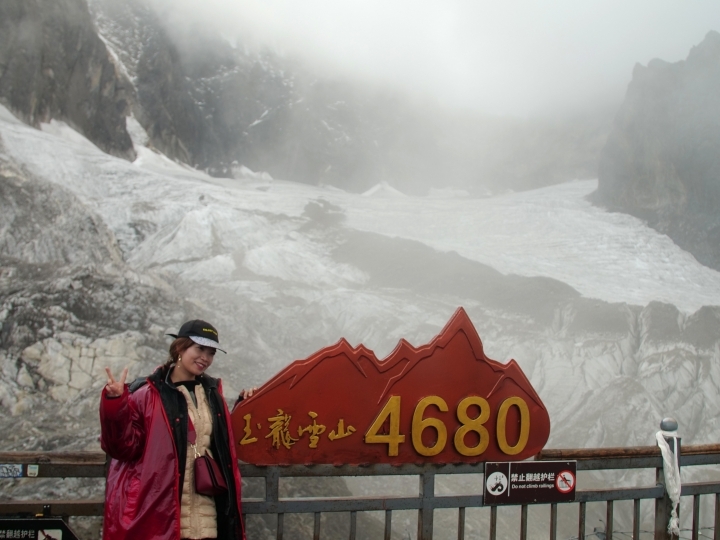 "You're talking about one of the world's largest freshwater sources," said Ashley Johnson, energy program manager at the National Bureau of Asian Research, an American think tank. "Depending on how it melts, a lot of the freshwater will be leaving the region for the ocean, which will have severe impacts on water and food security." 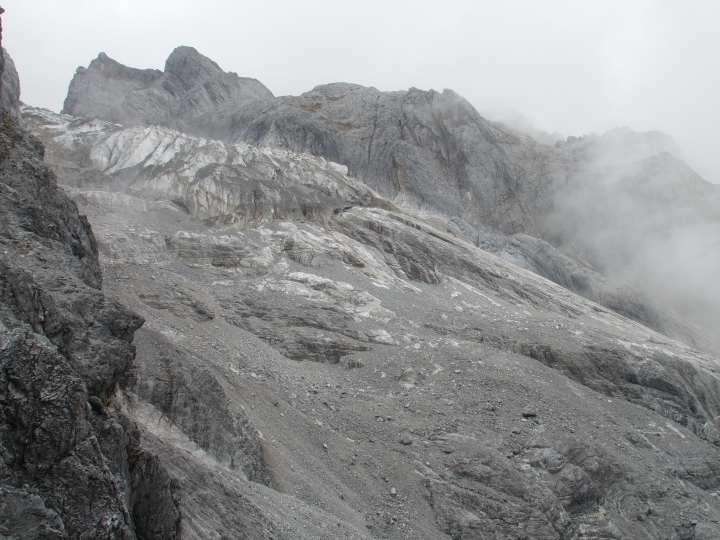 Earth is today 1 degree Centigrade (1.8 Fahrenheit) hotter than pre-industrial levels because of climate change __ enough to melt 28 to 44 percent of glaciers worldwide, according to a new report by the U.N. Intergovernmental Panel on Climate Change. Temperatures are expected to keep rising. 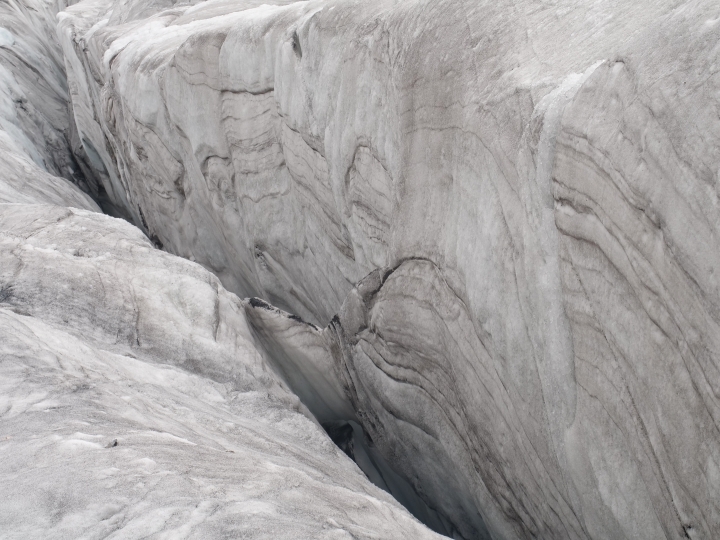 The glacier has lost 60 percent of its mass and shrunk 250 meters (820 feet) since 1982, according to a 2018 report in the Journal of Geophysical Research. 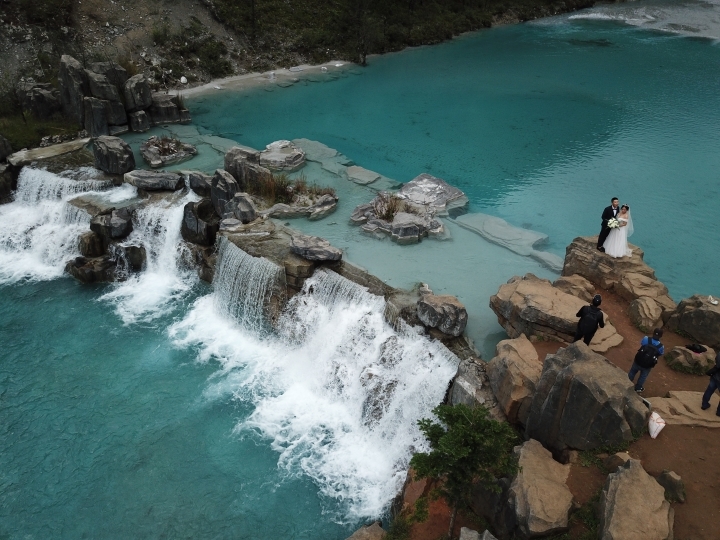 "China has always had a freshwater supply problem with 20 percent of the world's population but only 7 percent of its freshwater," said Jonna Nyman, an energy security lecturer at the University of Sheffield. 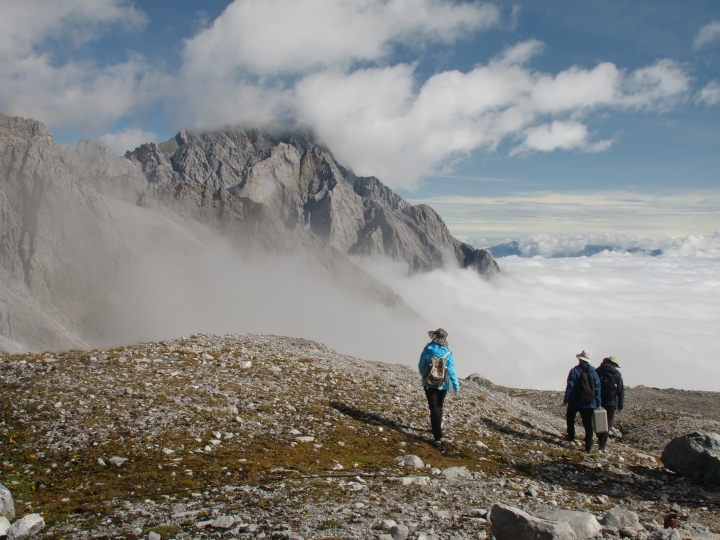 "That's heightened by the impact of climate change." One research team has tracked Baishui's retreat of about 30 yards (27 meters) per year over the past decade. 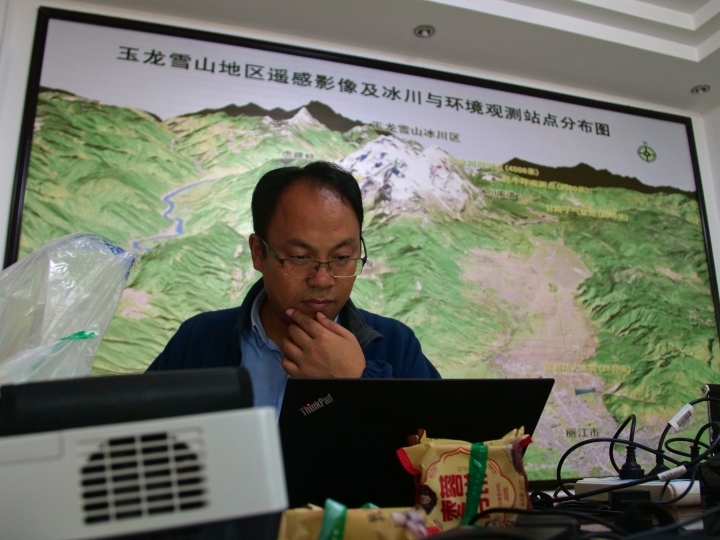 Flowers, such as snow lotus, have rooted in exposed earth, says Wang Shijin, a glaciologist and director of the Yulong Snow Mountain Glacial and Environmental Observation Research Station, part of a network run by the Chinese Academy of Sciences. 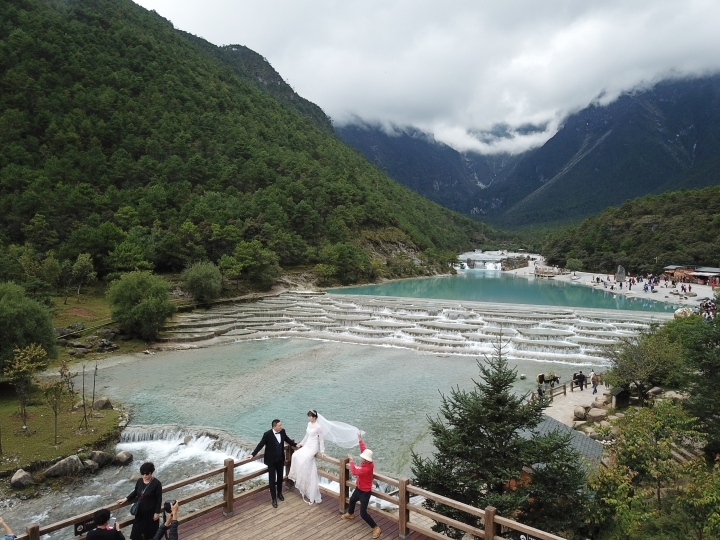 Nestled into a suburb of Lijiang, population 1.2 million, the station is home to Wang and his team: geologist and drone operator Chen, postgraduate glaciology student Zhou Lanyue and electrical engineer Zhang Xing, a private contractor. 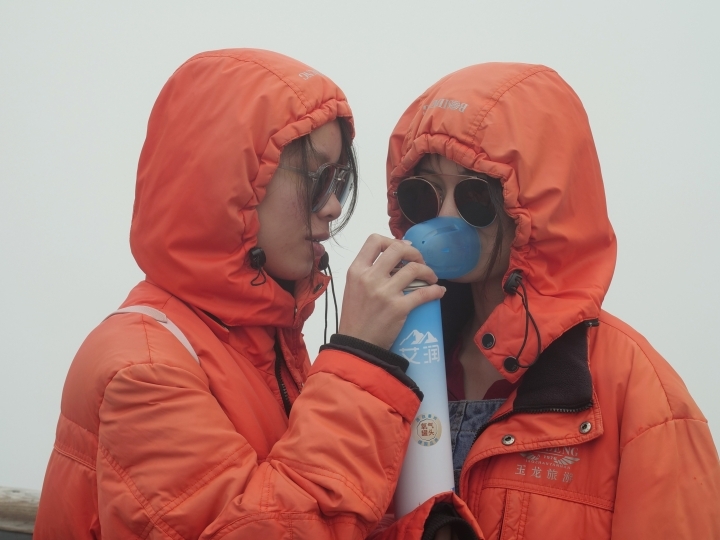 The team shuffles past a line of tourists __ many in red ponchos, most sucking oxygen canisters, a few vomiting from altitude sickness __ before descending to replace a broken meteorological station. The team operates remote sensors that collect data on temperature, wind speed, rainfall, and humidity. Other sensors measure water flow in streams fed by melted ice. 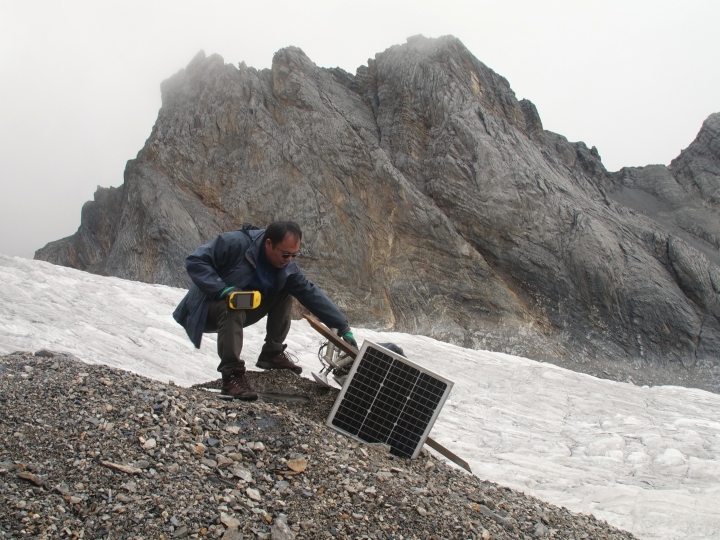 Cold, downpours, rock slides, gales and glacier movement break the equipment. 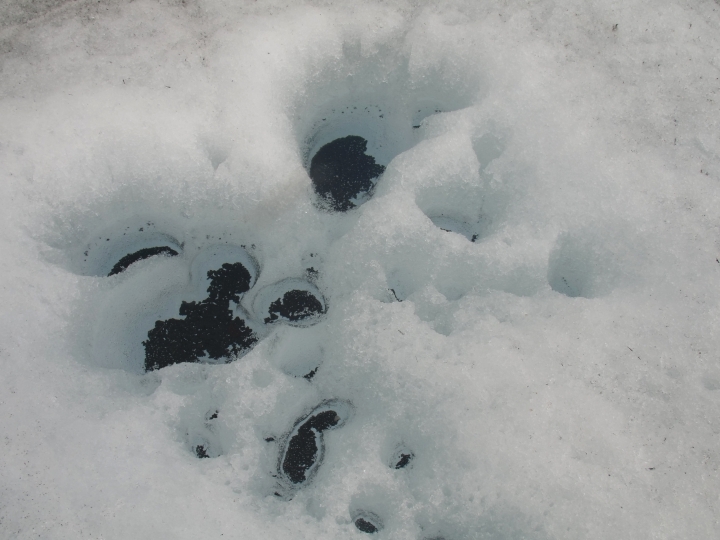 The next day, the team wore crampons while repairing more sensors scattered across the glacier's crags. 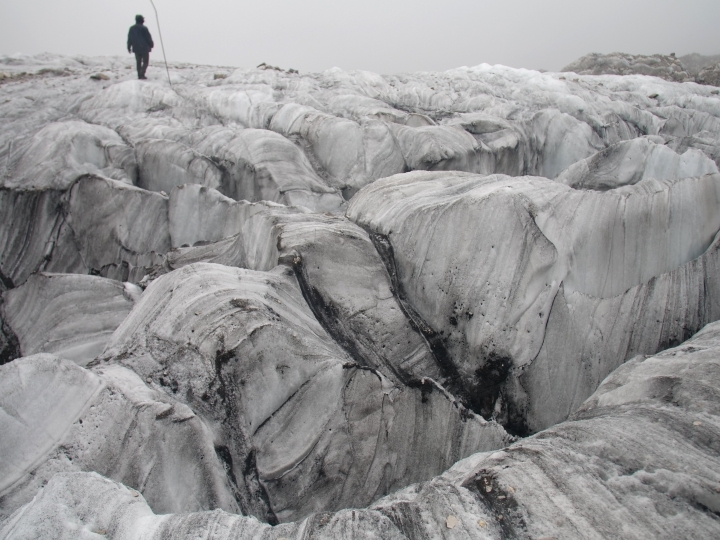 The team forded streams and jumped crevasses in search of long iron bars they previously embedded in the ice. GPS tells them how much the bars, and thus the glacier, have moved. 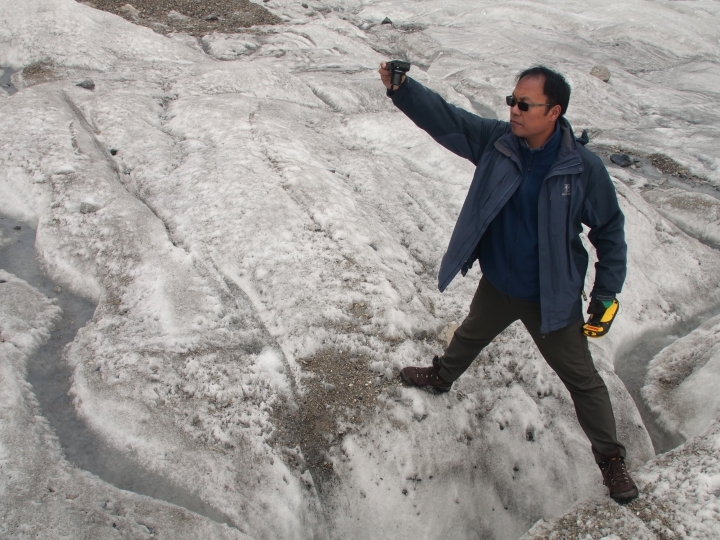 They also measure how much height the glacier has lost during the summer. 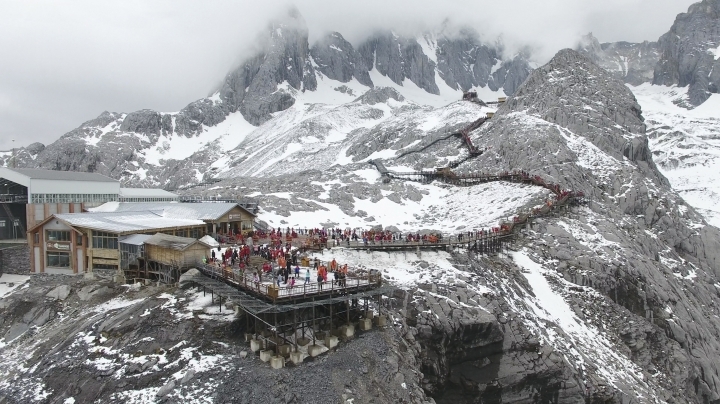 Back on the viewing platform, Che launched a buzzing camera drone over the white expanse. The photographs help tell a story of staggering loss. 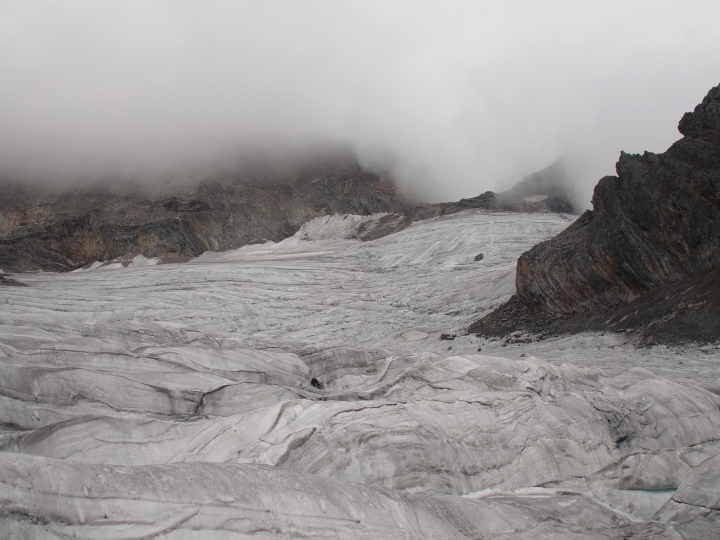 A quarter of its ice has vanished since 1957 along with four of its 19 glaciers, researchers have found. 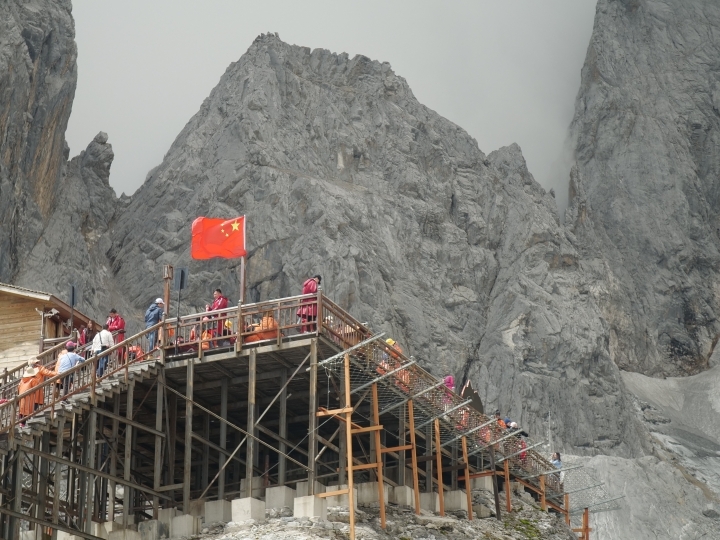 To protect the glacier, authorities have limited the number of visitors to 10,000 a day and have banned hiking on the ice. 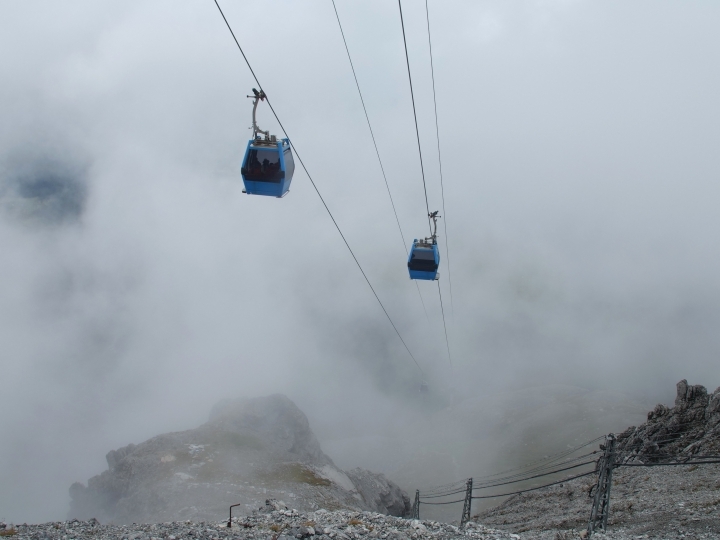 They plan to manufacture snow and to dam streams to increase humidity that slows melting. 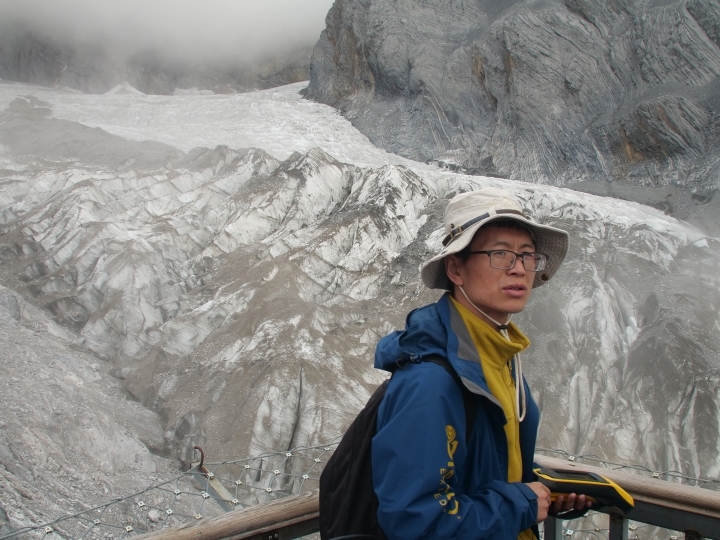 Yang remembers being able to see the glacier's lowest edge from his home village. No longer.